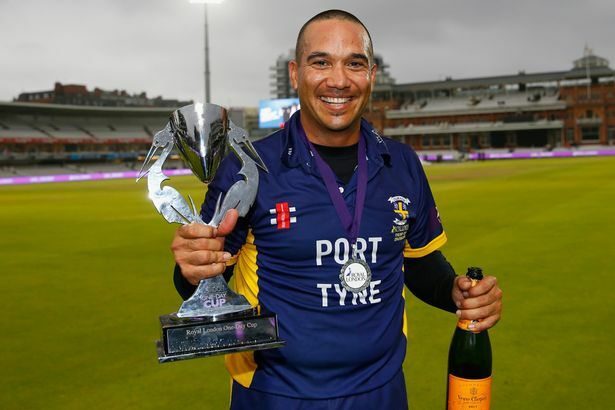 For those that believe in fairytales, it was inevitable Gareth Breese would score the runs which clinched Durham’s fifth trophy in eight seasons. For long periods of a nerve-wracking run chase, a Durham win had looked nothing like the formality it may have seemed at the mid-point of the game. But all the fates were doing was teeing it up for Breese to mark his final limited-overs appearance for the county in style. As Breese ran to embrace his wife Celia and children Max and Savannah it was impossible not to feel happy for one of cricket’s good guys. One-day cricket may be supposed to be all about big hitting and huge scores, but you cannot beat a low-scoring match for excitement. Yesterday’s Royal London Cup final shredded the nerves of everyone who peered through the murk of a miserable September day to watch it. When they bowled Warwickshire out for 165, it looked like Durham had the new trophy in the bag. But against such a good bowling unit as the Bears, and especially a spinner as crafty as Jeetan Patel, it was far from the case. Durham were thankful of their very long batting line-up when Breese strode out to bat with Ben Stokes, 36 adrift of their victory target. It was the West Indian who guided the ball wide of slips for four as the Riversiders crept home with three wickets to spare. When Mark Stoneman was racing to his run-a-ball 50, the drama awaiting Durham was hard to see coming. But the Riversiders just don’t do boring. 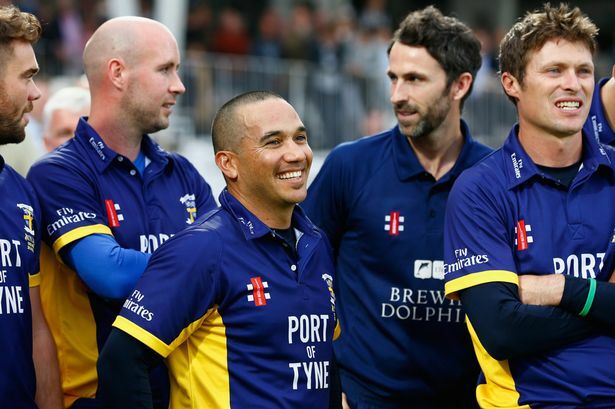 After Jeetan Patel ripped through them with 4-25, it was left to Stokes and Breese – in his last limited-overs appearance for Durham – to see their side home in a game where the floodlights were needed all day. He was especially harsh on Chris Woakes smashing the England all-rounder for 31 in the 20 deliveries bowled at him, hitting the ball anywhere from backward point through extra cover. But it was a different story at the other end, where wickets tumbled. Stoneman allowed Durham to bat carefully, pushing the more cautious Keaton Jennings and Scott Borthwick up the order. Twenty-one dot balls were ended when Stoneman cut the ball for two, then played a lovely drive for four through extra cover. English one-day sides really struggle against quality spin bowling, and New Zealand international Patel – the competition’s leading wicket-taker – certainly falls into that category, removing Jennings, Scott Borthwick, Gordon Muchall and most importantly Stoneman, all lbw playing across the line. Paul Collingwood looked like he might see Durham home until slicing a catch to gully on 21. For all the experience they had lost, Durham still had their superstar. Undaunted, Stokes – the matchwinner in the semi-final against Nottinghamshire – kept playing his shots, picking up Clarke off his legs then hitting the ball just out of the reach of mid-off in an over which cost ten. He had a lucky moment on 28 when instead of hitting his stumps, the under-edge from his attempted reverse sweep bounced off Tim Ambrose’s ankle and went for four. The toss always threatened to be crucial on a pitch with plenty of green in it. But the whole bowling unit did brilliantly to back up Stoneman’s decision. Chris Rushworth, fresh from his 15-wicket heroics in this week’s County Championship game, set the standard, bowling two maidens in his ten overs. His first wicket came courtesy of a good low catch by Mustard to get rid of Porterfield. But the crucial wicket came when Collingwood struck with his third delivery, trapping Jonathan Trott lbw. When Chopra leaned into a ball from Rushworth in the 13th over he scored Warwickshire’s second boundary of the match, and their first for 63 deliveries. The situation could have been even worse for Warwickshire, Collingwood and Mustard both putting down catches that players of their quality ought to have snaffled. The England all-rounder hit the ball nicely down the ground, and Jennings’ only over cost nine as he tried to counter-attack, only for a fantastic MacLeod catch to end the partnership when it was worth 47. Running back at mid-on, MacLeod got his feet in the wrong place as he lost the flight of the ball backpedalling but he adjusted brilliantly. When Chopra was bowled around his legs by Rushworth the game was all but up for Warwickshire. The wicket came during the batting powerplay, when Warwickshire scored just ten runs in five overs. Breese finished with 3-30, removing Patel after the Kiwi hit him for the first of only two sixes in the innings. The innings finished three overs early in suitably shambolic fashion, Borthwick running out Boyd Rankin. 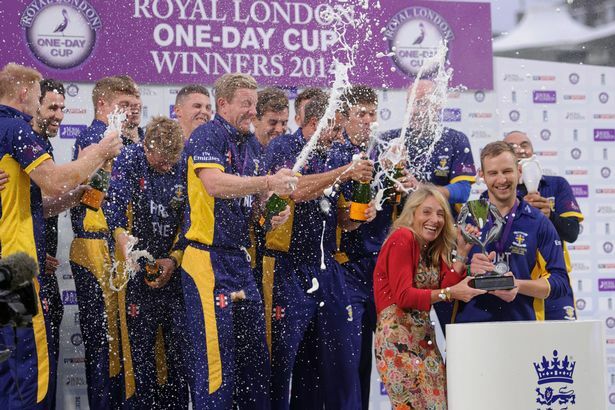 Durham will play Derbyshire, Gloucestershire, Leicestershire, Northants, Somerset, Surrey, Worcestershire and Yorkshire in the group stages of next season’s competition.